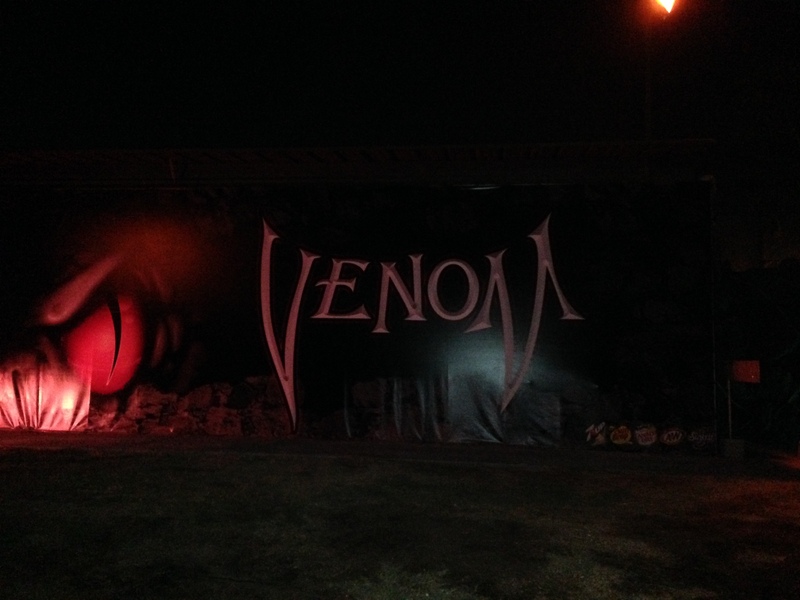 The setting for this second year haunt is the Giant Sports Outlet complex in Bellflower, CA. For the most part, the creative minds of this event take advantage of the complex’s 23 acres by transforming them into a nightmarish wonderland housing scare zones, haunted mazes, killhouses and a club. The three mazes vary in quality. At the top of the heap is Venom. Set in an ancient temple, this maze boasts high quality sets, effects and solid scares. The monsters are creative and the foggy atmosphere is just right. Just a word of warning, this one is not for you if you’re claustrophobic! Cannibal Caverns is a returning maze. The build is a creative mix of giant aluminum tunnels and rocky outdoor exteriors. There are some nice placements of scare actors in high locations that give the maze a nice cinematic feel. All American Armageddon is the weakest of the bunch. It’s a middling maze with average design that unfortunately isn’t elevated by the scare actors working inside the maze. Inspired by Giant Sports Outlet’s paint ball and airsoft origins, Haunted Hollywood Sports’ three killhouses are a highlight. The Zombie and Voodoo Hillhouses are well-choreographed survival missions that put you in the middle of monster and zombie action. Deadman’s Trail Killhouse is kind of like Space Invaders (switching out aliens with monsters) meets a shoot range. The results are mixed since it’s pretty hard to see whether your paintballs are hitting anything in the dark setting. To fill out your experience, there are a few scare zones including Carnival of The Damned, which also boasts a freak show. The clowns in this area are definitely the strongest scare actors in the park. Lastly, Club Crimson is the perfect place to grab a drink and take a break from getting scared. 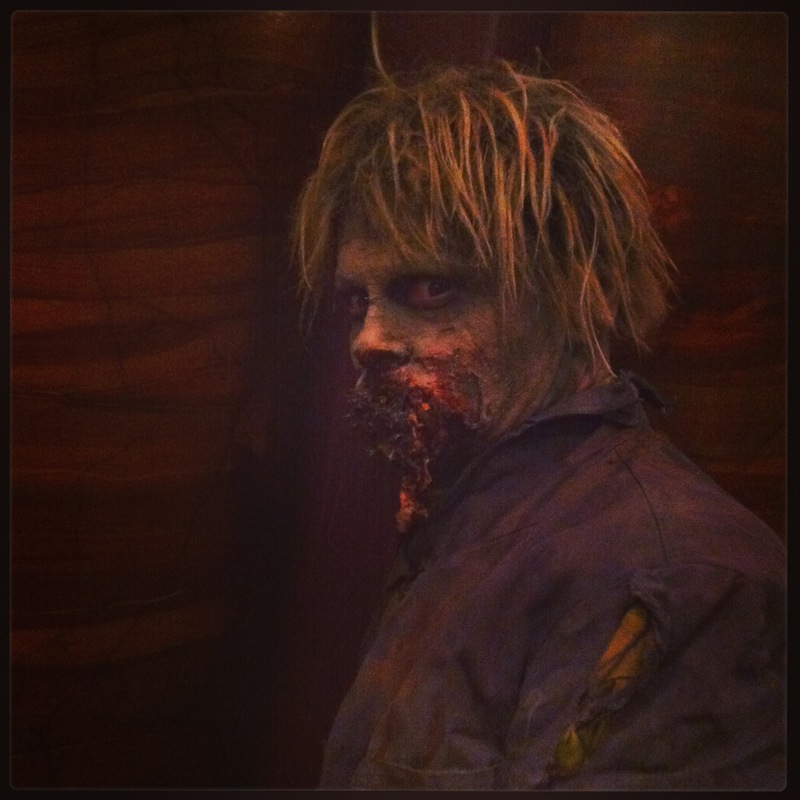 There’s a lot to do at Haunted Hollywood Sports for sure. This year’s incarnation is definitely solid and shows signs that this event will only get better in the years to come.